On one of my recent trips to Mumbai, me and one of my acquaintance were browsing the isles of Hypercity where she came upon the Maxfactor counter. She wanted to pick up a mascara for herself. 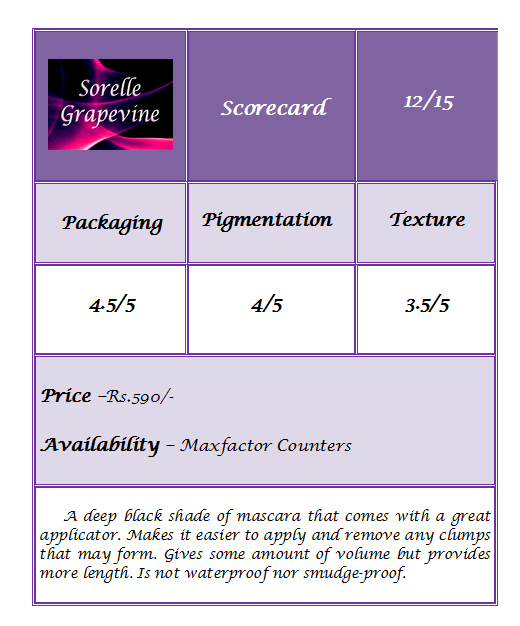 The SA recommended the Maxfactor Xperience Volumising Mascara in Black. Then the SA did a demo on the person and it looked so gorgeous. She applied it so well that the lashes just popped. The person I’m talking about does not have very dense lashes but they are quite long and her eyes looked just so beautiful with it on that I fell for it hook, line and sinker and got one for myself too. They gave her thickness as well as curl plus with the length that she already has the entire impact was greater. This is my first purchase from this brand and although I have heard about it before I was never inclined to purchase anything from them. 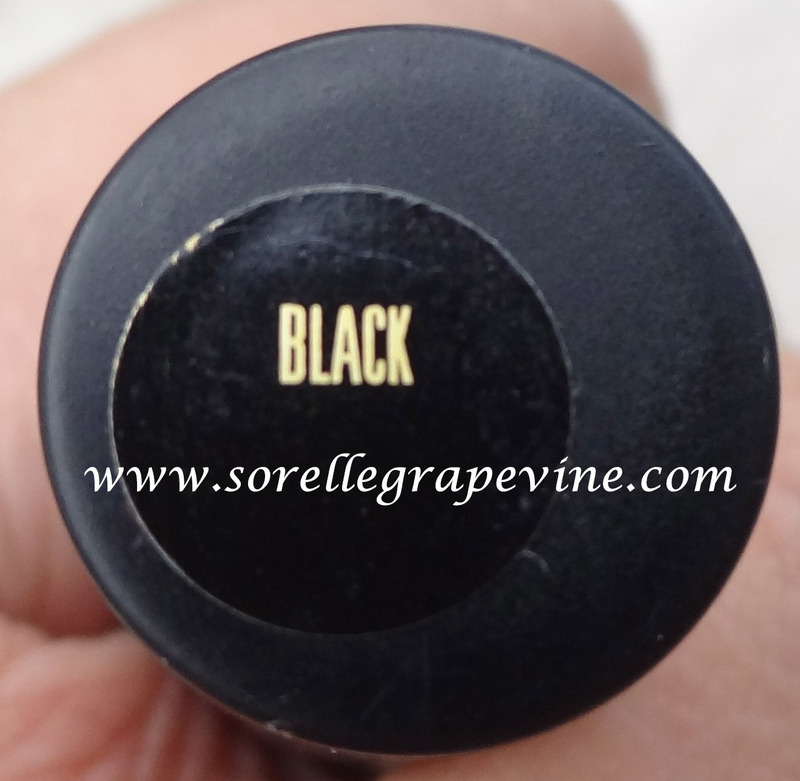 The mascara comes in a black plastic container with gold lettering and a shiny green “X” on it.The wand is on the thinner side which personally I really like as I feel it makes it easier to coat the lashes with. There is a slight mascara smell to it but it is not offensive. This does give you some amount of volume but not as much as the L’Oreal million lashes one (my absolute fav as I love the drama it gives). I did feel that this one helped to emphasize the length of the lashes more. What the L’Oreal one does is gives you a look of denseness but this gives you a look of length. 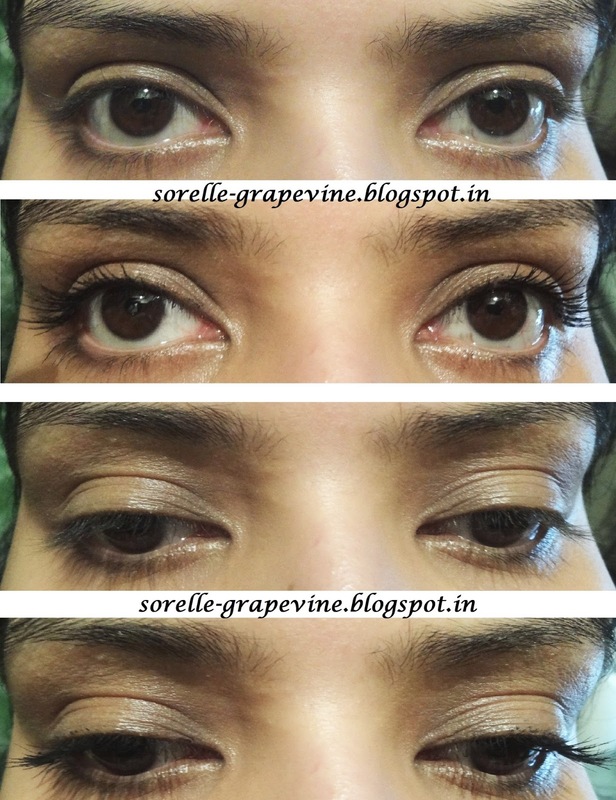 When you coat your lashes a couple of times with it you do get some amount of clumping but it is not as much as the former one and much easier to separate. The wand does it for you unlike the L’Oreal wand which clumps it further and you end up using a separate brush for it. It is not mentioned on the package if it is water proof and it turns out that it is not. I prefer it that way coz the waterproof formulas hurt my eyes. But for people on the move it might be a problem. Plus it is not smudge free either. The look that it gives you is ideal for day to day wear. 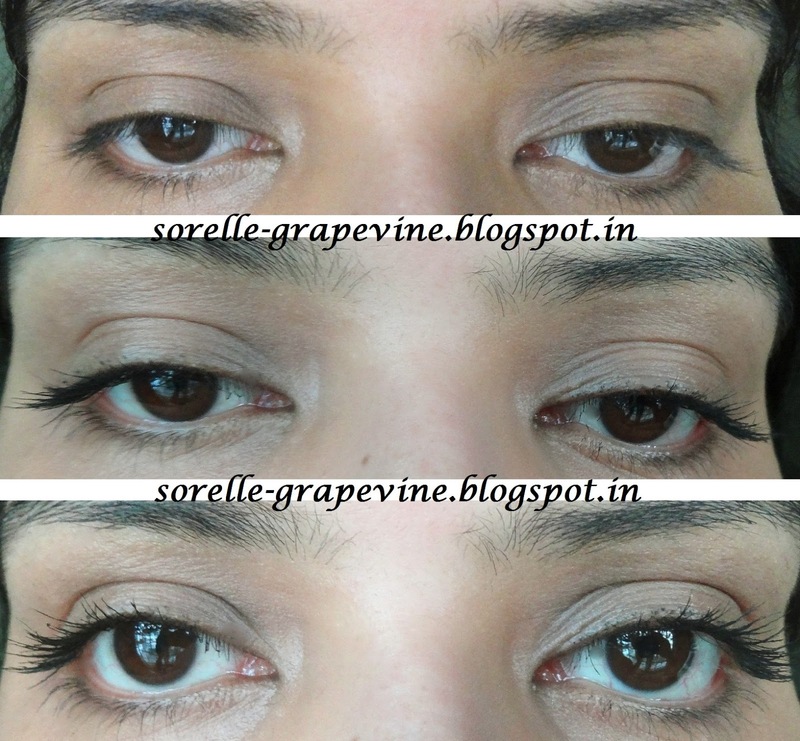 For people who want that emphasis that a mascara can give without looking like there is something very noticeable on. But the shortness of the wear makes it a deterrent for the same people. Over all it is a decent product. But not something that I will pick again. Million lashes one is more up my alley any day. If you don’t mind the short comings of it then do try it out at the counter once. That’s a wrap for this review. I know my intro was quite a build up for the product but in the end I might have just shot it down 😛 But hey I’m just letting you know like always what I saw. It worked on my acquaintance and I think the SA was a big cause of it. She applied it quite expertly. 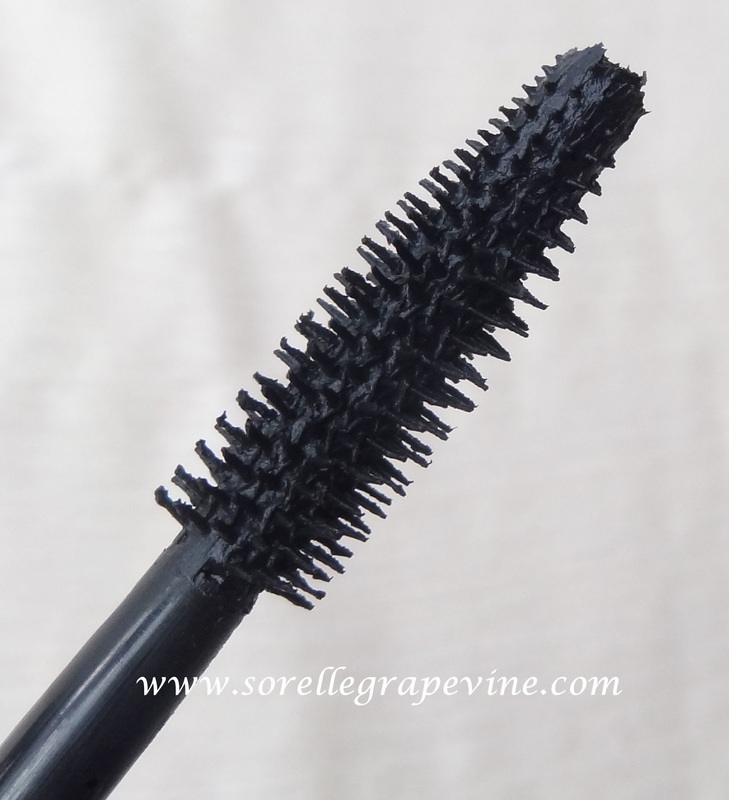 You know how some MUA’s can curl your lashes with just the mascara wand? I had that done to me by the MAC MUA but I have not been able to replicate it on myself without using the lash curler. Have any of you tried this product before? Will be willing to try it out now? Are there any other products from this brand that you recommend? Do get back to me with your thoughts and views. I will see you around – Ciao! 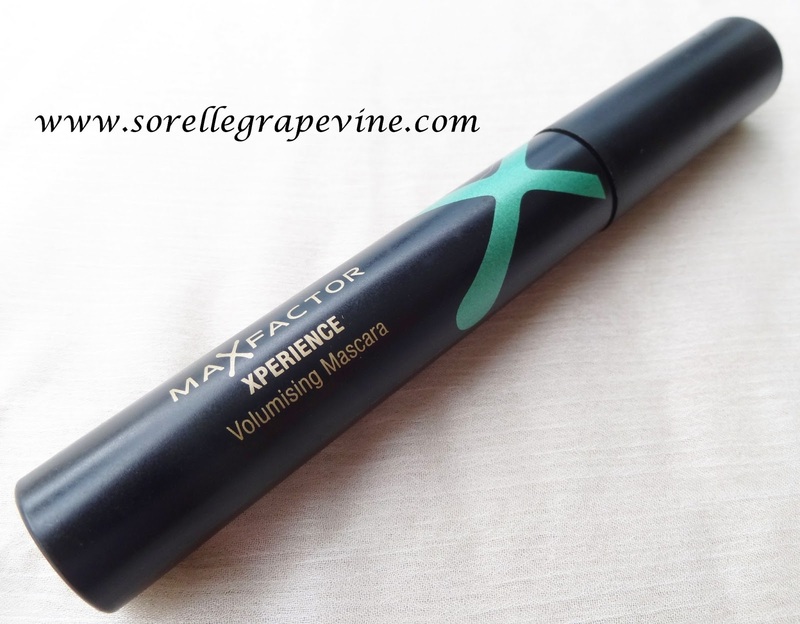 Would you purchase Maxfactor Xperience Volumising Mascara again? – I find the product quite decent except for it not being smudge proof. It would have been a good alternative for the L’Oreal Million Lashes one. But no I would not but it again. Would you recommend Maxfactor Xperience Volumising Mascara to your friend? – For someone who does want volume and length on their lashes without the drama I would recommend this if only they didnt mind the non waterproof/smudge proof part of it.